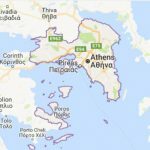 Athens; one of the world’s oldest cities with thousands of years of history, home to thinkers, politics, poets and writers, the cradle of western civilization. Today, the Greek capital is a fast-paced city with over 5 million inhabitants, amazing monuments, and streets decorated with buzzing culture. 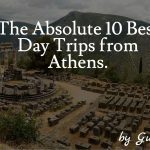 There is so much to see, do and experience in the city and for sure staying in a luxury hotel in Athens, will help you to enjoy more the “dolce vita” of it. 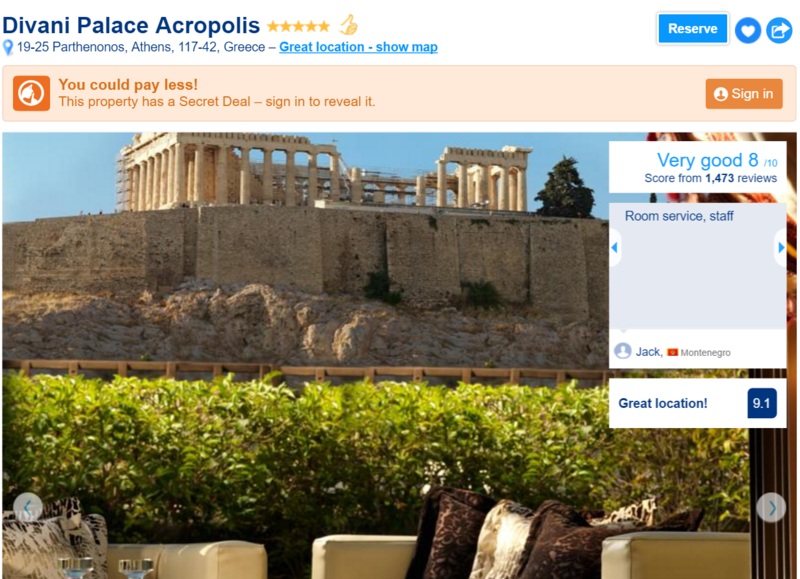 Athens offers hundreds of hotels and Airbnb options for budget accommodation. However, the purpose of this guide is to provide you with the best luxury hotels you can find. Several times, you can grab them at a reasonable price, especially compared to other European capitals such as Paris or London. 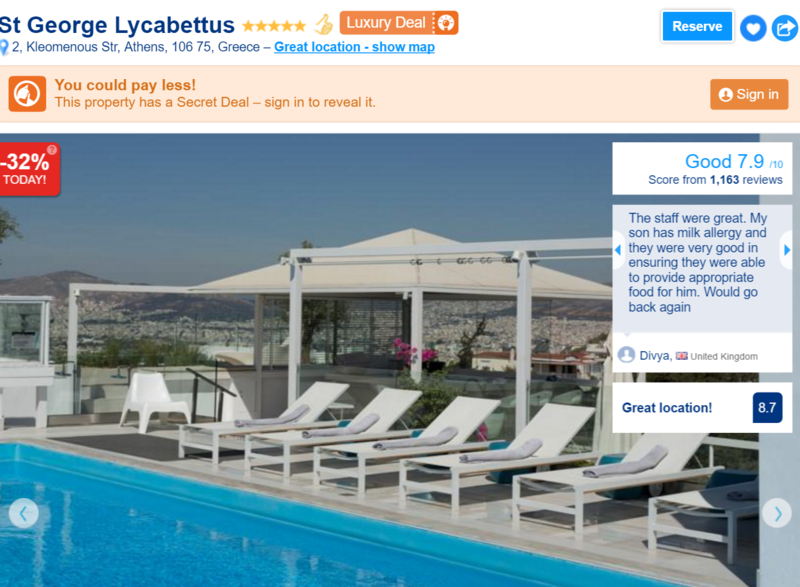 E.g., getting a Hilton with under 100 euros per night is possible in Athens, while completely impossible in Paris. 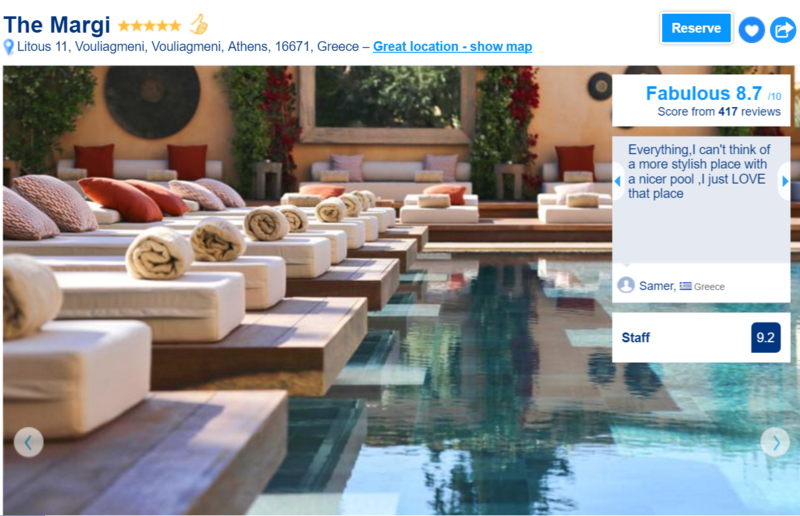 So, if you are looking to indulge in pure luxury in the Greek capital and get a feeling of how ancient gods were treated (sic), here are the top 15 best hotels to consider. 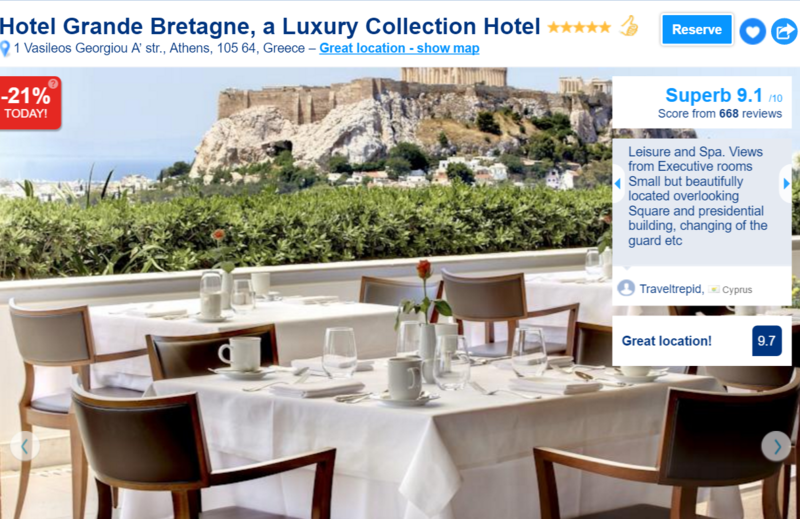 This luxurious 5-star hotel is only a short walk from Acropolis. 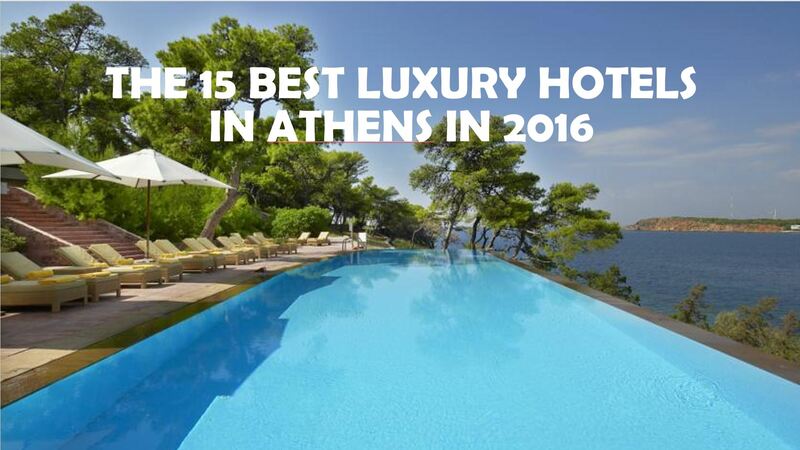 Its rooms overlook the swimming pool garden or Zeus’ temple and are soundproof. These rooms also feature high-quality bathroom amenities, work desks, cable and satellite TV as well as radio services and free wifi. You can indulge in authentic Greek cuisine at the Ioannis Restaurant before stepping out to enjoy the swimming pool, gym, or hotel library and do some shopping at the jewelry and gift shops. 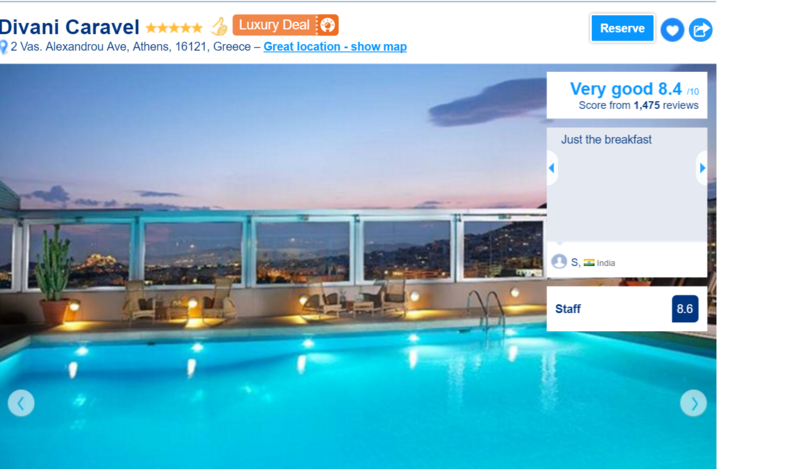 For impeccable service, fantastic views of Acropolis and the Zeus’ temple, an excellent bar and comfortable rooms, be sure to check this hotel out. 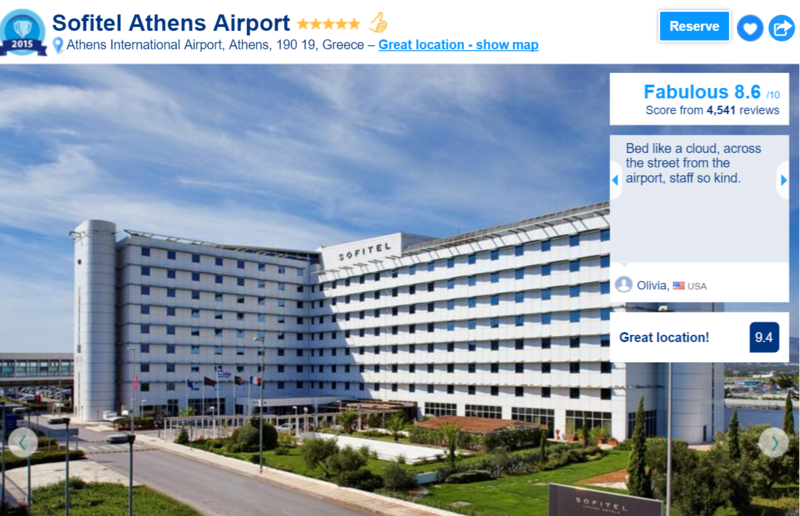 Conveniently located only 50 m from Athens International Airport and 28 KMs from the city centre, Sofitel is home to two restaurants, an indoor heated pool, and bar, views of the airport as well as rich sound proofed rooms. The rooms also feature marble bathrooms, luxurious toiletries, air conditioning, satellite TV, work desk and free wifi. You also get sauna and massage services at request. You can also enjoy perfect panoramic views of the airport from the 9th floor. Opposite the House of Parliament and the Constitution Square sits the Grand Bretagne, a hotel whose lavish rooms feature the finest furnishings, marble bathrooms and separate shower and bathtub. The rooftop terrace gives magnificent views of the city while other rooms’ balconies overlook the Acropolis, the Parliament building daily changing guard or the original Olympic Stadium. 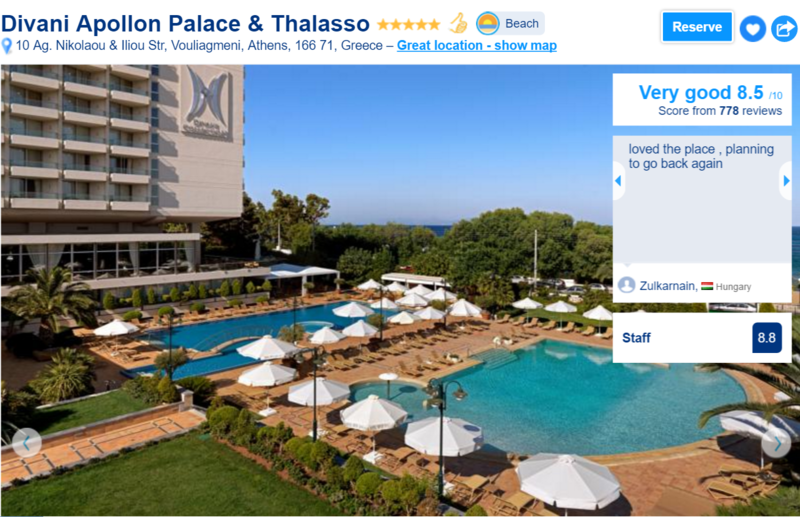 The hotel is also home to Parthenon restaurant which offers Mediterranean cuisine, a thermal suit, spa, and an indoor pool. The service here is fast, professional and polite. If you are craving celebrity treatment, private balconies with views of Acropolis and the Philopappou Hill, tastefully decorated rooms with classic furnishings, excellent cuisine, then Divani Palace is the place to be. A 10-minute walk from the scenic Plaka, the Herodion theatre or the Acropolis Museum will get you to the hotel, which is only 500 meters from Acropolis Metro Station. The rooms are spacious, clean and nicely decorated with professional, helpful staff. 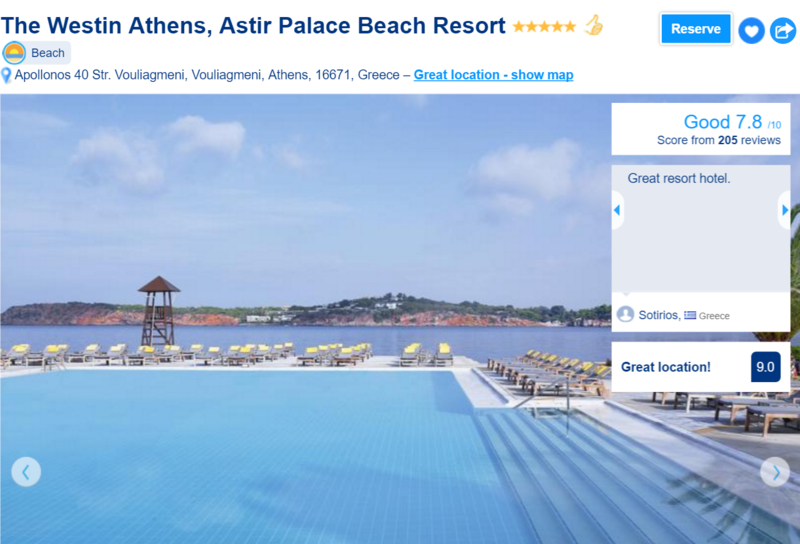 The Astir Palace Beach, Arion Resort and Spa are set near Vouliagmeni Lake on a private beach and are one of the best luxury hotels Athens offers. With seven restaurants, a spa, an indoor heated pool with a panoramic view, steam room, a fitness centre with personal trainers and spacious bungalows and rooms with 24 hours professional room service. 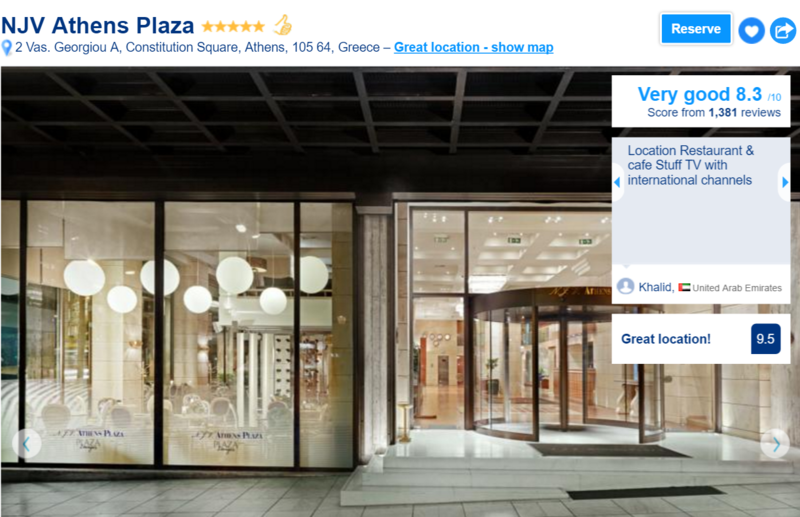 Located only 50m from the Syntagma Metro Station, the NJV Athens Plaza is easily accessible from the Benaki Museum, and the beautiful Kolonaki neighborhood. The hotel’s rooms are soundproofed, with ceiling to floor windows and panoramic view of the Syntagma Square, the Stadiou Street or the Acropolis. The gourmet restaurant, the Parliament, offers Mediterranean cuisine with the Plaza Lounge offering excellent choices of desserts and coffees, snacks, and happy hour offers! The hotel also has a business centre with state of the art internet access and audio visual equipment all topped with excellent, professional service from their staff. The upmarket Kolonaki district is home to this lifestyle hotel whose amenities include a rooftop bar, spa and sauna, well-equipped gym, and a restaurant that offers brunches, drinks and light meals. Each room in this hotel is individually themed to showcase Greek’s culture and feature such facilities as Satellite TV, free wifi, fully stocked mini bar, private balconies with panoramic views of Athens and Acropolis and a safety deposit box. The hotel is only 10 minutes walk from the Evangelism Metro station and easily accessible from the National Gallery, the Byzantine Museum, and the Acropolis Museum. This is one of the most luxurious hotels Athens hosts, and it is located squarely in the centre of Plaka and a stone throw away from Athens’ major attractions. The rooms are well equipped with personalized room service, air conditioning, delightful bathroom accessories, Satellite TV and free wifi. The hotel offers an indoor pool, spa, and sauna as well as a rooftop restaurant serving Mediterranean cuisine. The service here is excellent, so is the food. Located close to the sea just in front of Faliron Olympic Park, the Metropolitan Hotel offers a view of the Saronic Gulf from its rooftop pool. Its rooms feature sofas, carpeted floors, working desks with free wifi, air conditioning, minibar and satellite TV. 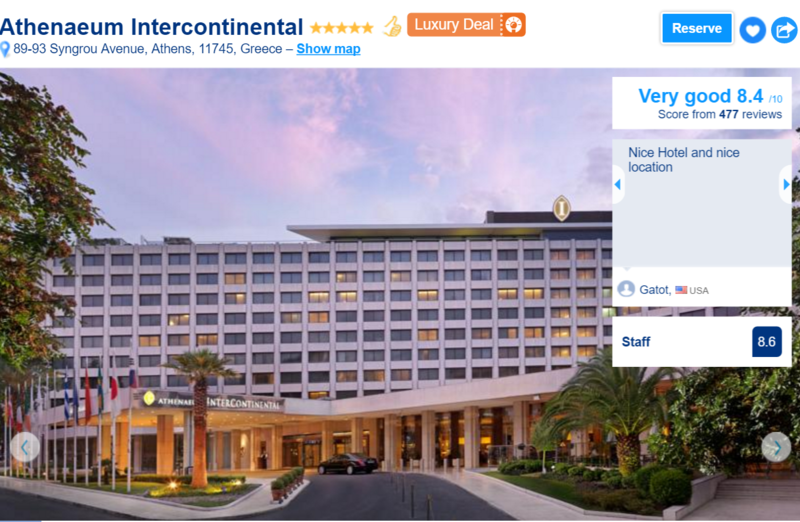 The hotel is 15 minutes drive from the city centre, Syntagma Square, and the Piraeus port. The hotel offers an array of cuisines in its restaurants. Situated right in the heart of Athens, the Caravel boasts a rooftop swimming pool, luxurious rooms with stylish furnishing, minibar, air conditioning and Satellite TV. The Peak health club, which is on the rooftop overlooking the city, features a spa and well-equipped gym. The Caravel has three restaurants, 16 meeting rooms with state of the art conference facilities such as audiovisual equipment, 2 bars and free wifi anywhere in the hotel. It is only a few minutes away from Kolonaki. 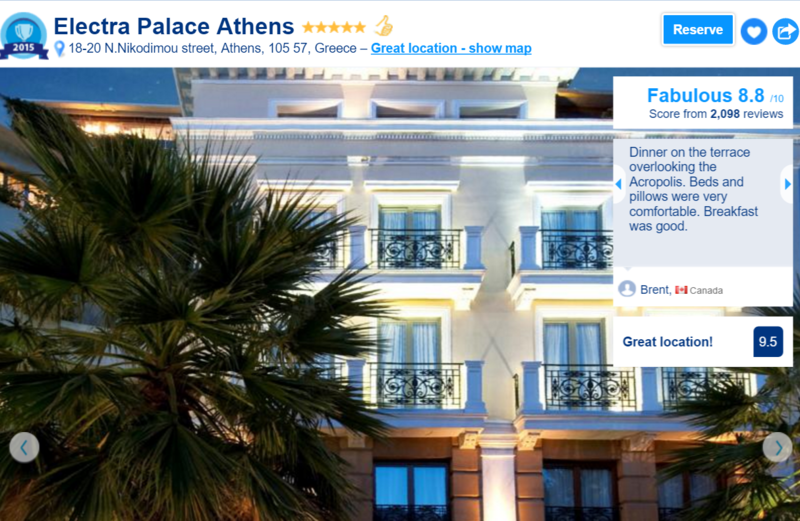 This luxurious 5-star hotel is only 3 km from Acropolis and readily available from the city centre and metro stations. It features award-winning restaurants, a 24-hour gym, a spa, and spacious, elegantly decorated rooms with marble bathrooms. The hotel also has a heated swimming pool, sauna, hot tub, and can be accessed from the scenic Old Town and the Venizelos International airport. 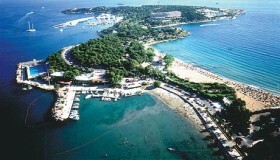 This is a 5 star, luxurious boutique hotel located in the exclusive Vouliagmeni area; a stone throw away from the beach. This is the place to be for fine dining offered in a relaxed seaside atmosphere. The rooms feature satellite TV, air conditioning, well-socked minibar, classic décor and a safe deposit box. The 18-hole Glyfada Gold Club is only 7 KM away, and their restaurants offer gourmet cuisine. 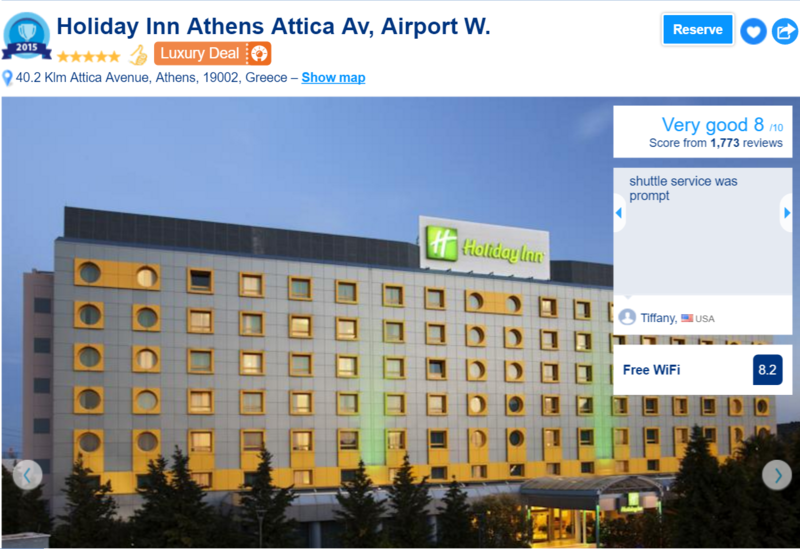 With its proximity to the Athens Attica Airport and only 1.5 km from the local rail link, this is the perfect place to be if you are looking for stylishly furnished rooms with marble bathrooms, high-speed free wifi, indoor pool, well-equipped gym, sauna, in addition to a kitchenette in every room. The hotel’s restaurant and bars offer excellent services in relaxed settings. 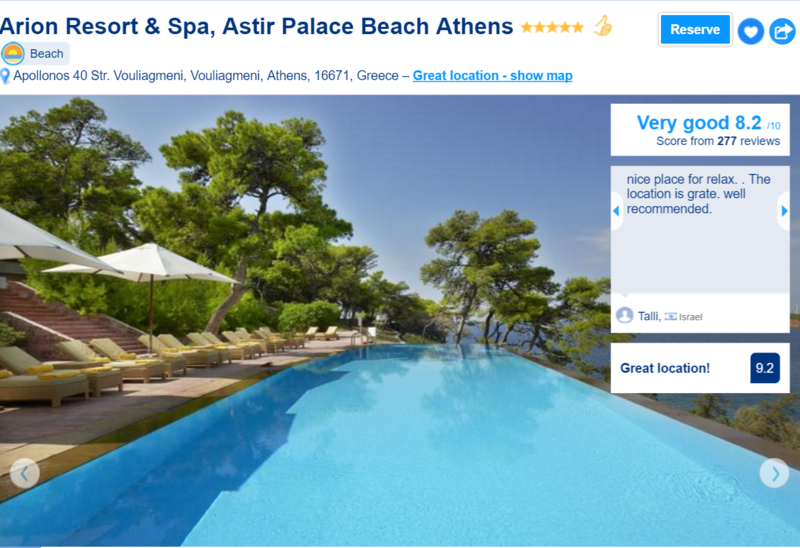 This is a luxury hotel that is set on a private beach and offers rooms with breathtaking Saronic Gulf views. This hotel’s award-winning restaurant offers Modern Greek cuisine in classy atmosphere with views of the sea. The hotel features luxurious rooms, Olympic-sized heated swimming pool, and an in room safe. 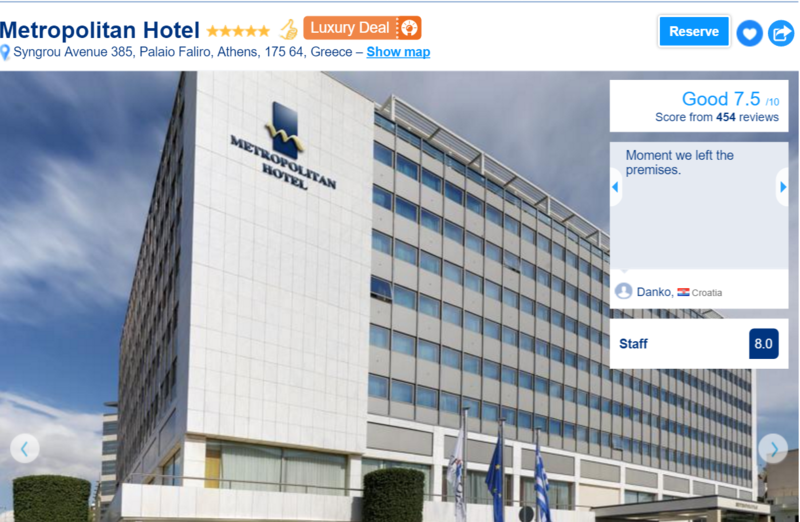 The hotel is only 25 km from Athens city centre. When you think of old school luxury, the Apollon comes to mind. Its rooms feature oak furniture, grand paintings with balconies facing the sea. Its restaurants offer fine dining, and the guests can enjoy other amenities such as indoor swimming pool, saunas, Roman baths, and the jogging and tennis courts. You can also enjoy waterskiing on the hotel’s private beach. It is important to note that these luxurious hotels are readily available by all regardless of physical condition, and they offer parking services, non-smoking rooms, and are easily accessible from major public transport terminus. What are the must-try dishes while you are in Greece ; How to Eat like a Greek! Athens to Santorini: Should you get a flight or a ferry? 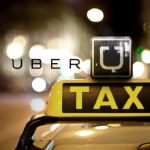 Is Uber available in Athens Greece? 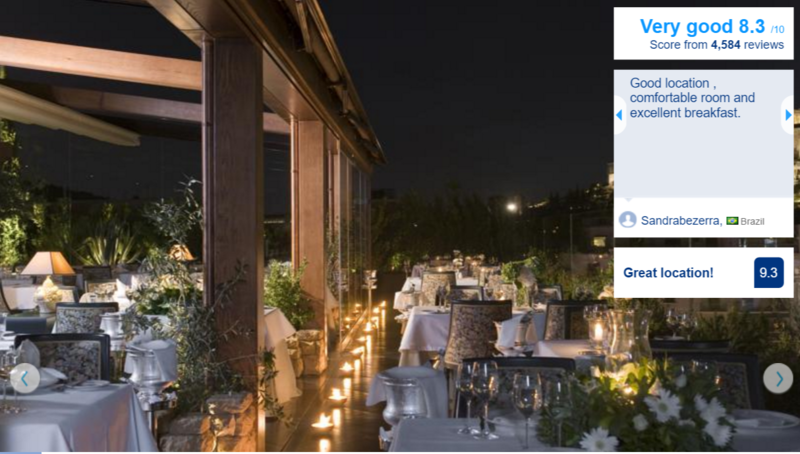 Forget Paris: Here are Athens 5 Most Romantic Restaurants that will Blow Your Mind Away!